Police have named the man who died following a collision in Bexhill. Martyn Robert Talbot, 46, of Little Twitten, Bexhill, was riding his motorcycle on the A269 Ninfield Road, Sidley, Bexhill, on December 28, when he was involved in a collision with black Citroen C1 which was travelling north. Police said Mr Talbot, who was travelling south on his Honda CBR125 motorcycle at the time of the collision, was pronounced dead at the scene. Following his death, a JustGiving page was set up to help Mr Talbot’s family with funeral costs. A post on the page said: “On the 28th December 2018, Martyn Talbot tragically lost his life in a road traffic accident leaving behind his wonderful wife Olga and two young girls, Elizabeth (10) and Alexandra (7). “Martyn was a doting dad of his two girls and a great family man with a shared love of bikes with Olga. To donate to Mr Talbot’s family, please click here. 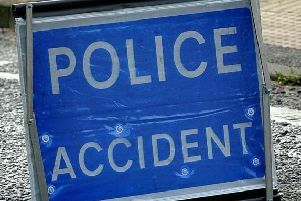 The car driver, a 48-year-old woman, also from Bexhill, was unhurt in the collision, police said. Officers wish to hear from anyone who saw what happened or motorists who may have relevant dash-cam footage. They are asked to contact collision.appeal@sussex.pnn.police.uk or call 101, quoting Operation Ninewest.